With its wild and rugged countryside and large and lovely national parks, Croatia is the perfect place to go on an adventure holiday. Croatia has an abundance of well-protected natural parks, and the country takes evident pride in its natural resources. The mountainous areas support a range of wild animals, including bears, Alpine deer, roe deer, lynx and wild boar. Before you start packing, here are a few tips to help you enjoy the adventure holiday of a lifetime. Croatia has a continental climate in the central and northern part of the country and a Mediterranean climate on the Adriatic coast. Summer, which runs from May to September, features hot, dry weather and is the most popular time of the year for tourists to visit the country, particularly the coastal spots. Summer temperatures can climb into the high 30s, although the average temperatures are usually around 24 degrees. Winter (November to March) is generally mild and temperate, although temperatures reach freezing in January, the coldest month of the year. Croatia receives most of its rain in the winter months, with the highest rainfall in the northern parts of the country. The coastal areas get bitterly cold winds from the north. Spring (March and April) is generally fine and mild, although swimming in the sea can be rather icy. September and October are a good time to visit as temperatures are still warm and the number of tourists starts to drop. Make sure that your money works for you by taking the time to shop around for the best deal and pre-buying your currency before you leave home. While you are likely to find plenty of places to change money during your travels, it is important to realize that the currency conversion rates that are offered can vary widely. The best way to make sure that you get the best possible deal is to compare exchange rates at websites like Comparecurrency.com. You can use the savings you make to treat yourself to a night in a luxurious hotel during your travels or do something truly special such as going on a boat trip to one of the enchanting islands that are located just off the coast of Croatia. A wide range of different types of adventures can be enjoyed in Croatia, so it is a good idea to do a little research and planning to make sure that you get the most out of your trip. Trout fishing is a popular sport in the mountain streams and lakes. Paklenica National Park has thick, verdant forests, with numerous species of insects, reptiles and birds, including the endangered griffon vulture. The Dalmatian archipelago in the south is an important agricultural area, with viticulture, olive growing, the cultivation of medicinal herbs and fishing. Although public transportation is available in Croatia, people who do not speak the local language often find traveling by bus and train rather tricky. Because many of the popular areas and attractions tend to be scattered throughout the country, car hire is a good option. Visitors can book car hire from a reputable international company and pick it up from the airport as soon as they touch down to save them the time and trouble of trying to arrange transportation after a long flight. 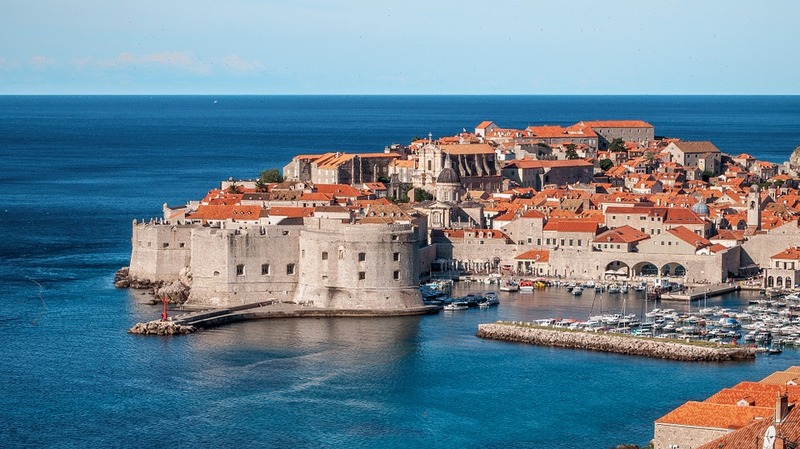 This will allow visitors to explore stunning Dalmatian coast with its abundant sunshine and scenery at their own pace, while visitors are sure to delight in the hidden castles, monuments and quaint villages that are just waiting to be discovered along the route.